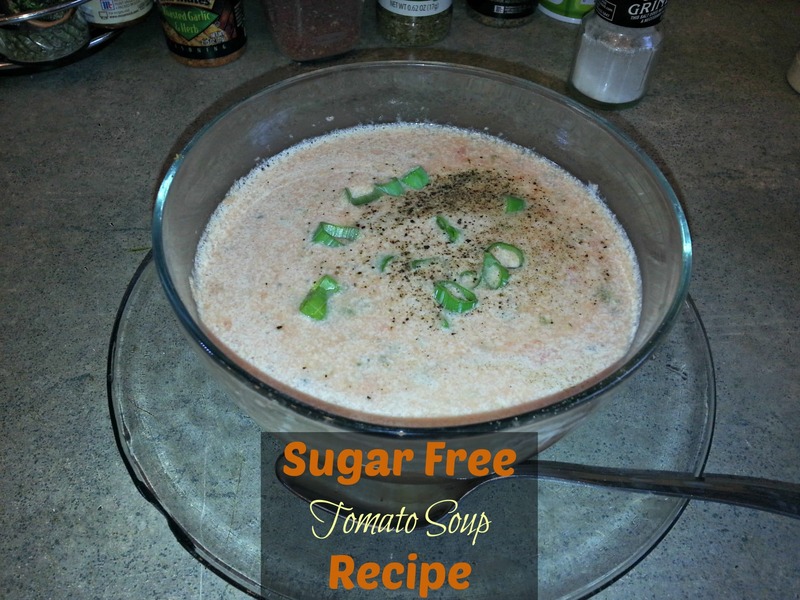 I love tomato soup but it was another of those things that was impossible to find in a sugar-free variety so I had to make my own. It took a couple tries to find the right balance of ingredients but this recipe is very tasty and makes for a delicious lunch. Yum! Cut tomato into 8 wedges, put in bowl with onions and basil. Pour soup and milk in bowl and microwave for an additional minute to heat. Thanks for the great recipe. I see the canned tomato soup has lots of sugar.